Looking out the window of the high speed ferry, the project looks massive. There are dozens, or maybe hundreds of barges with cranes mounted on top putting the last touches on the enormous bridge. It’s considered the world’s largest infrastructure project. The scale is hard to comprehend, especially when you see it in person. At over 50 kilometers long, the actual bridge is a site to be seen. But, that’s not really the incredible part of this project. The view of the bridge, just before I headed underneath while on the ferry from Shenzhen to Macau. 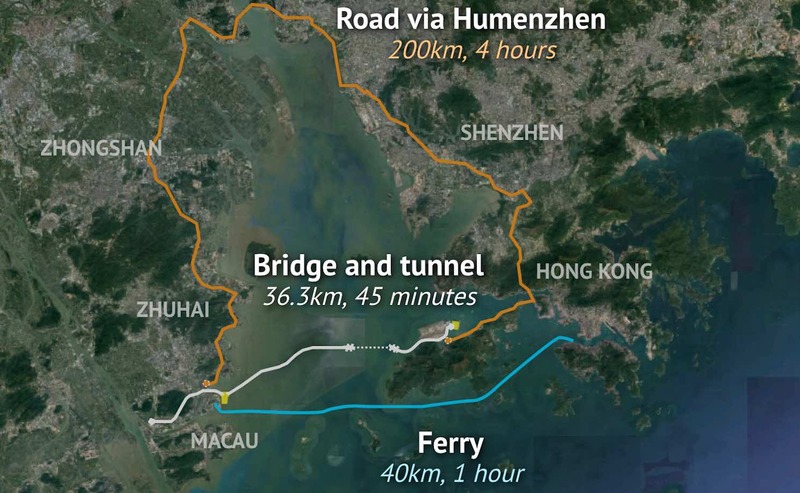 This new road that connects Hong Kong to Macau and Zhuhai is part road, part border crossing, part man-made islands, and part undersea tunnel. Just the idea of creating this route is a big deal, let alone actually making it a reality. You get in a vehicle in Hong Kong and drive to the beginning of the bridge, which is located near Hong Kong’s Chek Lap Kok International Airport. 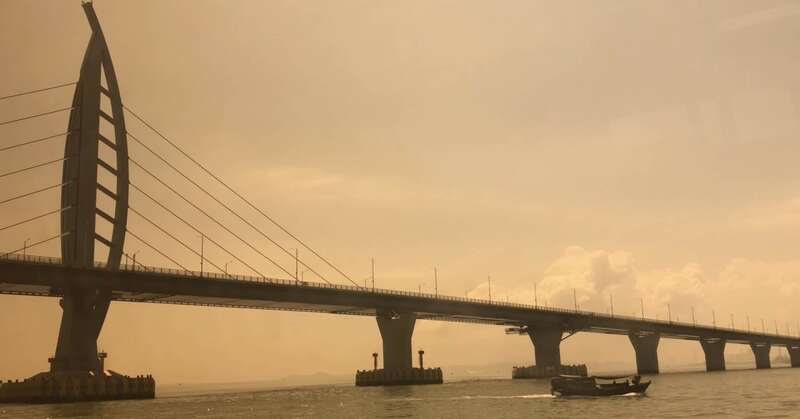 Here, at the beginning of the bridge, you pass through border control, which means you are leaving the Special Administrative Region (SAR) of Hong Kong. 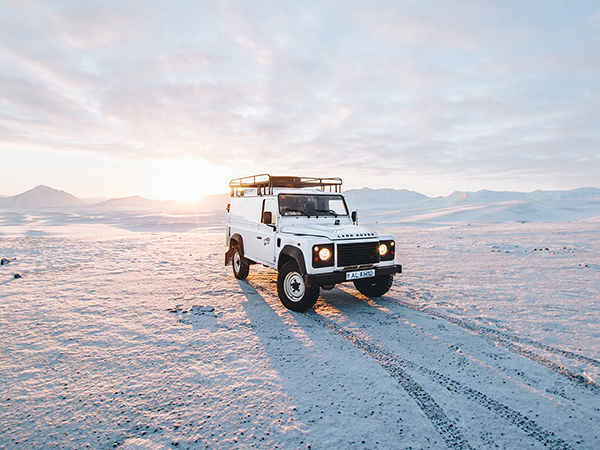 As you begin your journey on the first length of bridge, you eventually reach a man made island, which means you are now driving on actual land as opposed to over the water. This land that you are driving on was built from fill rocks and dirt from the surrounding area. On this first man-made island you continue driving into a tunnel which dives down into the earth, well over 100 feet deep, until you are eventually underneath the sea. This tunnel continues under the sea for six kilometers. At the end of the tunnel, you continue driving until you pop up onto another man-made island, which then continues to the second length of bridge. On this second length of bridge, you drive over the water until you reach another border control area. Here, you choose if you want to go to Zhuhai (in China) or into the SAR of Macau. Depending on your choice (and what visa you have) you are then sent on your way after you’ve cleared the immigration check point. The journey in the opposite direction is the same exact process, with all of those steps being in reverse. This new route will not only be faster than taking a ferry or driving around the Pearl River Delta, but it will also be much more efficient. People and goods can now be transported 24/7 across the bay, which is a region with one of the world’s largest populations and economies. In other words, this massive infrastructure project is going to increase the productivity of an area that is already near the top of the world economy. So, what investment opportunities does this new project present? Tourism. This is glaringly obvious. Hong Kong and Macau are top tourist destinations for the region and are only growing in popularity for foreigners throughout the world. Our last trip with the Explorer Partnership is a perfect example of this, as we visited both Hong Kong and Macau via the ferry route. Trade and business. 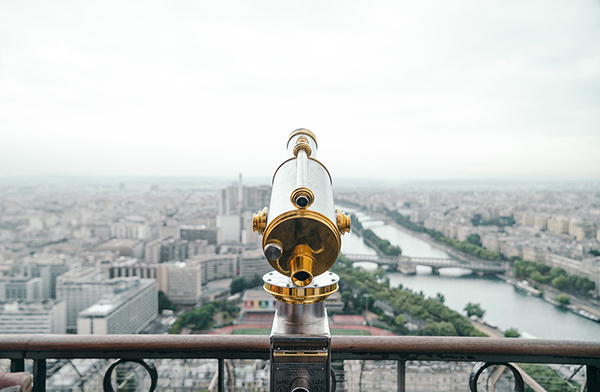 If you are an entrepreneur that is looking for the next venture, this entire region is oozing opportunity. 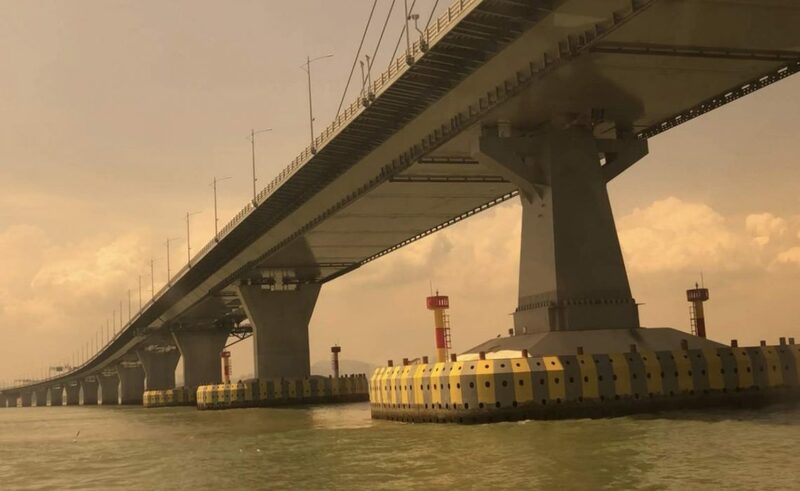 This bridge, in addition to many other infrastructure projects (like the new high-speed train from Hong Kong to Shenzhen), is making it easier and easier to do business. Long bus rides and inefficient border crossings are becoming inconveniences of the past. As time goes on, this whole area is becoming streamlined and will continue to attract business and talent. Boats. These high speed ferries will very quickly lose passengers, who will choose to take the faster bridge instead of the slower and more expensive ferry. So what will happen to these ferries? They’ll need to be re-purposed. There are literally dozens of other up and coming regions throughout China and Asia that will gladly put these incredible boats to use. Whoever can figure out that transition is sure to make a handsome profit. Just several of the dozens of ferries that will lose passengers due to the bridge. It’s worth noting that a special license plate is required to cross this bridge, as vehicles have to be registered to operate in multiple different jurisdictions. Right now, these license plates are selling for up to a quarter million US dollars! So, obviously, most people wanting to cross this bridge will use bus services that no doubt will be leveraging the license plates that they will have to pay a pretty penny for. I’m sure there are dozens of other investment and business opportunities that will arise from this bridge. Who will be the ones to figure it out?